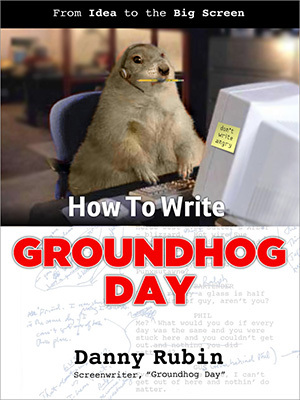 This book contains everything that I have to say about the movie, Groundhog Day. What do you have to say? And please buy the book. Groundhog Day is coming up. And this would make a great gift. Thank you, my brother Mike, thank you my darling Louise, for making this book happen. I love you both. Now let’s get this party started! Danny, I’m blogging and Facebooking all I can to get my meditation and student-of-life friends to buy this book. My reasoning: smart, articulate, good-hearted, generous, hilarious people should have money thrown at them, for whatever reason they suggest. The world should encourage these behaviors. I’ve started a little party of my own, called Microwave Meditations, co-writing it currently as a blog with an NPR pal. My daughter, the recently graduated Emerson social media goddess, is helping us old folks understand how to make it live electronically. Wish me luck! If you’re looking for feedback, I like Bill’s idea of having you comment on the Superman Problem. Why doesn’t he exhaust himself every day? How does he choose which problem to solve in a given moment? There are people all over that city who need their cigarettes lit! Also, check out Red River Theatres’ Facebook page, if you haven’t already. It’s filled with lots of great shots of everybody having a sweet time together. Smiles all around!